This long awaited book in FULL COLOUR contains a full and extensive analysis of the most successful team using the 3-5-2 formation in modern football. This tactical blueprint is explained clearly with supporting diagrams, notes and detailed descriptions. Juventus have won 4 consecutive Serie A league titles (2012-2015) which included an incredible 49 game unbeaten run. They scored 291 goals (1.91 per match) with a total win percentage of 72%. During this time they also won the Coppa Italia and reached the Champions League final in 2014. Juventus are a very successful attacking team that focus on exploiting their numerical advantage at the back, patient build up play, pushing many players into advanced positions and finally creating and exploiting space in behind the defensive line. I played for several teams in the Greek professional leagues. At the age of 29 I stopped playing and focused on studying football coaching. I have been head coach of several semi-pro football teams in Greece and worked as a technical director in the Academies of DOXA Dramas (Greek football league, 2nd division). Jose Mourinho’s Real Madrid: A Tactical Analysis - Attacking and Defending . (English & Japanese), FC Barcelona Training Sessions - 160 Practices from 34 Tactical Situations and Jurgen Klopp's Attacking and Defending Tactics. I have watched Juventus in many of their league and Champions league matches for the last few years and all of them during the 2013- 2014 season. 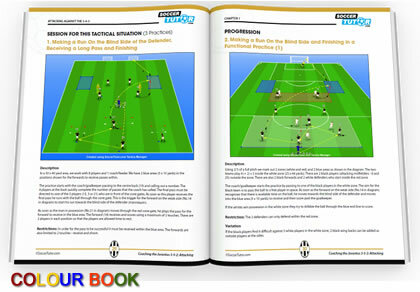 Over 1000 hours of research has enabled me to present a full tactical blueprint of Juventus with supporting training sessions in this book and the attacking book (other part of this book set). 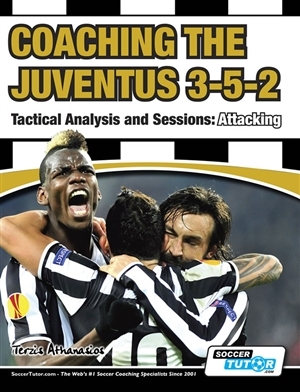 Lots of hard work yet again gone into a great analysis of Juve . Nice to see 352 content which isn't easy to find for those who play this themselves , so ideas to be taken. These sessions are always well played out and can be replicated at non league level .